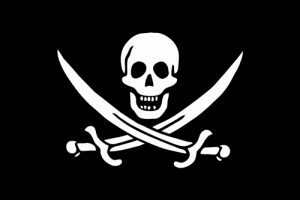 A new study conducted by YouGov shows that almost five million adults in the UK use pirated streaming services – with the number set to increase “notably” over the next year. 10% of the population (around 4.9 million adults) currently have access to platforms such as Kodi boxes, Amazon Fire TV Chipped Sticks, and illegal streaming apps on smartphones and tablets. Adoption is especially high among millennials, with 18-34 year-olds accounting for 37% of users (1.8 million people). The study also reveals that 17% of these platform users have already cancelled at least one paid-for TV service. “There is a real danger that having got used to getting TV services for free it will be hard to convince them to pay in the future,” said Russell Feldman, director of digital, media and technology at YouGov. YouGov’s research shows a reluctance to pay for content is the primary reason for using pirated streaming services, with nearly half of respondents (46%) believing they have saved money on film and TV viewing. The average saving per user is £212. However, users said they also do not feel like they are harming the film industry as it already makes a lot of money. Meanwhile, among the non-users, 6% expect to start accessing pirated streaming platforms in the future, with 400,000 planning on using them within the next three months.